The Eversource proposal is known as the Seacoast Reliability Project. It's a 13-mile-long, high-voltage power line between Madbury and Portsmouth, partly buried underwater. The Site Evaluation Committee approved the project in December. But opponents appealed for a new hearing, arguing in part that the SEC didn't fairly consider how the power line could affect the Great Bay ecosystem. The SEC declined that appeal Thursday. Opponents could still choose to take their case to the State Supreme Court. That court upheld one SEC approval in recent months, for the Antrim Wind project. They’re now preparing to review an SEC denial, of Eversource’s Northern Pass proposal. The New Hampshire Site Evaluation Committee will decide next week whether to reconsider its approval of a new power line on the Seacoast. Opponents of the Eversource proposal, called the Seacoast Reliability Project, appealed the SEC's December ruling Monday. The state Site Evaluation Committee has given Eversource the green light to build a new transmission line on the Seacoast. 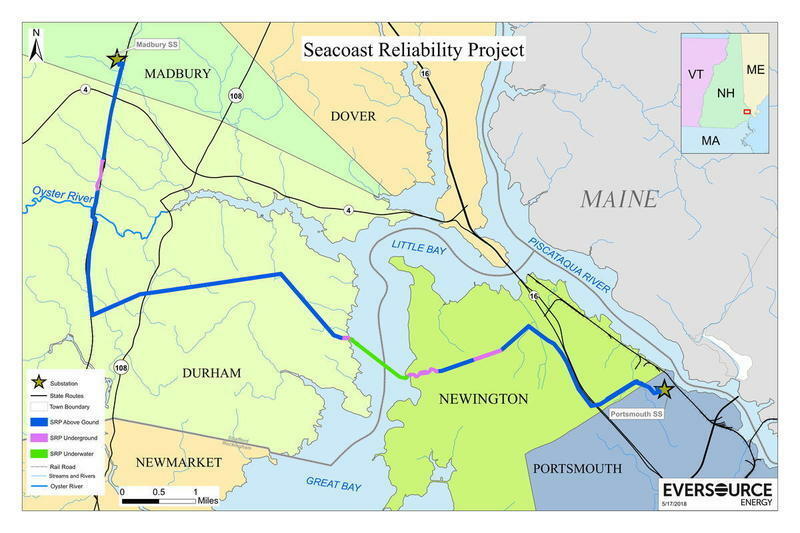 They voted unanimously Monday to certify the so-called Seacoast Reliability Project, after more than two weeks of exhaustive deliberations.